Throughout our lives, we’ve all been told to eat our fruits and vegetables and watch our intake of sweets. However, it is hard to find a straightforward, easily achievable, accurate and definite plan that guarantees rapid weight loss. With our bodyweight being maintained almost solely through our diet, with exercise being an asset, our daily dietary intake is everything. To shed the maximum amount of stored body fat, we must follow a successful and efficient diet plan that’s strict yet easy to follow, including all the best recommendations for dinner recipes. The ‘General Motors diet’ was created in 1985 by General Motors, the FDA and the US Department of Agriculture for the company’s employees. Its purpose was to enhance productivity around the workplace by enhancing the overall health, energy levels, confidence, and performance of the employees. With impressive results (10 to 17 pounds lost in one week), the GM diet was a big success and quickly went global as millions of people still continue to abide by it today. The GM diet is recommended for everyone because its plan is so easy to follow and its dinner recipes are inexpensive and simple to prepare. With the consumption of its low-carb, high-fiber structured diet and intake of adequate water, the plan works to rid the body of its toxins and impurities, and to burn stored fat for the loss of 10-17 pounds in just one week! When followed correctly, not only will you visibly see real results in just seven days, but you will also feel lighter. You will be left feeling energetic, lively, active, and healthier than ever. The first day is intended to flush the body of all toxins to prepare for the next six days of the diet plan. This day consists solely of fruits and water. We can munch down on as many fruits, except bananas, as you want for the entire day. Fruits high in fiber, such as cantaloupes and honeydew melons, are highly recommended because they keep you feeling fuller for longer and are also low in fat. An easy way to achieve the first day is to eat 1-2 servings of fruit every couple hours along with eight to 12 glasses of water. Aim for one glass an hour. When completed successfully, we should already feel more alert, energetic, and lively; and you will lose up to three pounds, all by the end of the first day. Just remember: any fruit except for bananas. The second day, simple enough, consists solely of vegetables and water. Vegetables can be consumed raw or cooked—with very little to no oil (olive oil only) sauteed or boiled. Potatoes contain carbohydrates which greatly help get through the difficult stages. One teaspoon of light butter may be used with potatoes for flavor. Just like the previous day, 8-12 glasses of water is required for day 2 as well. Peas contain protein and green beans and carrots contain lots of fiber and essential vitamins for a good satisfying balance. With day 2 being another low-carb, high-fiber day, the body’s carb stores will refresh for optimal energy and alertness for the next day of your diet. The third day is basically a combination of the first and second day together; it consists solely of whole fruits and vegetables (cooked or uncooked) along with the intake of excess water (8-12 glasses). By this day your body will feel adjusted to this new low-carb diet. The fourth day is difficult, but worth it. Make it through these 24 hours and you are over halfway done. This day consists solely of eight to 10 bananas, four glasses of whole, almond or soy milk and 8-12 glasses water. Bananas are rich in potassium and milk is rich in calcium, magnesium and protein. This day is vital to the GM diet. The fifth day is Heavenly compared to the previous 4 days. Day 5 consists of 1 cup of brown rice, 6 whole tomatoes, some lean protein, and 12-15 glasses of water (more water than all previous days)! Lean protein may consist of non-fat yogurt, skinless chicken breasts, fish, beans, boiled eggs, and/or goat meat. You really start to feel great on this day with the upbringing of carbs (from the rice) and some protein, resulting in a huge upbringing of our mood! We will feel lighter, physically and emotionally by this day. Similar to day five, day six consists of another cup of brown rice, some lean protein, and back to 8-12 glasses of water. Lean protein and veggies should be boiled—not fried. If absolutely desired, one can saute with very little, light olive oil. Salads may contain sparingly light dressings or vinegar for flavor. Light seasonings such as ginger, ground pepper, pepper flakes or honey may also be added for flavor. You will see visible results of weight loss by the end of this day! This final day is simple enough; it consists of another cup of brown rice, and as many fruits and veggies as you desire, lean protein, and any fruit juices you want to drink along with your eight to 12 glasses of water. As each of the seven days consist of simple, straightforward, whole-food ingredients, eating a meal of two apples and a glass of water will seem way less suitable for our dinner than that for our breakfast. Especially if that was just our breakfast that morning. You will want and need something more complex, filling, and flavorful when evening comes. So let’s dive into our top six dinner recipes for each day of the GM diet! For your fruit and water cleansing day, a couple apples, pears, or guavas with a glass of water would be a good breakfast, brunch, and/or mid-day snack. However, let’s see those top 6 fruity dinner recipes! Remember: vegetables can be consumed raw, boiled or sauteed with very little light olive oil. No heavy salad dressings and light seasonings only. Let’s see those 6 recipes! You can’t get 6 recipes out of bananas and milk, but you can blend them together! GM diet burns an astounding amount of fat quickly and completely cleanses and detoxifies the body of all toxins and impurities. The diet also gets you in the habit of eating your fruits and veggies daily. It allows you to feel and look your best. You will feel lighter, energetic, more active and all around better physically, mentally, and emotionally. No matter what, do not allow yourself to finish that last day off with a dessert or fatty food! Let your successfully slimmer waistline be your prize! Only do the GM diet plan once every couple weeks. Food is one of the many things in life we enjoy, and breakfast is the most important meal of the day. The best breakfast includes fruits/vegetables, whole grains, lean meats, and low-fat milk. This is a great first step toward preventing weight gain and has maximum effects within a 30-60 minute time-frame of waking up. If you don't like eating anything big in the morning, it's okay to split it your breakfast two parts. Eating something light within the optimal 30-60 minute time-frame, and then eat the other half about 60-90 minutes later to still reap the wonderful benefits. The best breakfast kick-starts the metabolism, helping to burn calories throughout the day, and gives us the energy we need. Losing weight is a harrowing experience, especially for those who don't exercise regularly. What if we said you could lose weight just by eating the right foods? It’s easier to cut calories than burn them off, and weight loss is essentially 75 percent diet and 25 percent physical activity. Losing weight by eating a low-calorie diet and burning more calories than you consume is the basic idea. However, just eating healthy won't ensure weight loss if you consume more calories than you burn. A healthy caloric count equates to 10 calories per pound. Therefore, a person weighing 160 pounds should stay at or below 1,600 calories/day. Low-carb diets are popular, but they are difficult to maintain even though they offer fast results. Working with a more balanced diet plan focusing on fruits, vegetables, whole grains, and lean proteins is better. Not having enough calories is detrimental. This can cause the metabolism to slow and you will start to lose muscle mass as a result. The GM diet was supposedly created by General Motors, in conjunction with the FDA and USDA, to get employees of GM healthier in order to increase production. This claim hasn't been verified, but the results were impressive, with employees losing 10-17 pounds in a week. They also showed higher energy, efficiency, and confidence. Therefore the diet was considered a success. The GM diet focuses on limiting weekly food intake to fruits/vegetables, brown rice, and chicken while increasing water consumption helping with digestion. This diet is popular due to its simplicity. The GM diet can be either a vegetarian-type diet or a non-vegetarian diet. This diet is a 7-day plan with strict guidelines, although there are some areas of leeway. Those who advocate this diet say that the reason it works is the foods are low in calories. Some of the foods are actually 'negative-calories,' meaning they have fewer calories than it takes to digest them. Other foods recommended are high in water, such as watermelons, and along with the 8-10 glasses of water per day, they can support weight loss with the added benefit of detoxifying your system. Although this could be considered a 'crash diet', supporters suggest repeating the diet to achieve weight loss goals in the long-term. They recommend at least 5-7 days in between cycles. Regarding the leeway in the GM diet, there are additional foods that can be consumed (some as substitutes). The substitutes should have the same calories as the original stated in the plan. On the first day, you can eat only fruits. Melons such as cantaloupes and watermelons are high in fiber and water making you feel full or longer periods of time. The best breakfast is a bowl of fruit. Avoid bananas on this day and eat apples, oranges, strawberries, and melons. There isn't a restriction on the number of fruits or the quantity, but it's suggested to keep your stomach relaxed, preparing for the days ahead. Remember to drink 8-10 glasses of water throughout the day. On the second day, you can eat only vegetables (cooked or raw). Start off with a small baked potato or a sweet potato for breakfast, keeping other vegetables for the rest of the day. These can include lettuce, cabbage, kale, spinach, broccoli, onions, tomatoes, and artichokes. Again, there isn't a restriction on the number of vegetables or quantity, except for the breakfast, which should be only a regular potato or sweet potato. These are the carbohydrates needed to keep you energized for the days ahead. Remember to drink 8-10 glasses of water throughout the day. On the third day, you can eat both fruits and vegetables from the previous 2 days while avoiding the bananas and potatoes. The complex carbohydrates in the fruit will help with energy and focus. The best breakfast could be half an avocado. This is the day when fat starts to disappear. Remember to drink 8-10 glasses of water throughout the day. On the fifth day, you can add meat, in addition to six tomatoes. The requirement of 20 ounces of meat can be from one item broken into two meals. The meat can be from lean beef, fish, or chicken. The meat gives your body protein and the tomatoes add fiber for help with digestion. Vegetarians can substitute for the meat with brown rice or cottage cheese. The best breakfast would be cottage cheese topped with fruit. Add four cups to the daily 8-10 glasses of water consumption to help with metabolic activities. This will help stave off lethargy. On the sixth day, you can eat beef and vegetables (no tomatoes/potatoes). The 20 ounces of meat is for the entire day, with no restriction regarding vegetables, other than tomatoes/potatoes. This is the easiest day because your body is acclimated to the diet by now. Vegetarians can substitute cottage cheese for the meat. Remember to drink 8-10 glasses of water. On the last day, you can add more fruits/vegetables and fruit juice (sugar-free), as well as brown rice. The best breakfast on this day would be quinoa (boiled in soy milk) topped with fruit. This last day plays a major role in benefits for your skin, so adding more water to the 8-10 glasses you're already used to is suggested. The benefits of the GM diet are improved digestion and body detoxification. The diet is high in fiber and low in protein, fat, and carbohydrates, leading to quick weight loss. Your body's digestion system gets a 'reboot'. Eating the wrong types of foods may taste good, but these foods are stripped of the nutrients that our bodies need. This diet ensures eating lots of fruits/vegetables which contain fiber and water, thus helping our digestive system get back on track. Once you start losing weight, you will instantly feel better, helping with mental fitness, raising confidence, and self-esteem. Losing extra weight also helps in decreasing your odds of certain health conditions, including heart disease, diabetes, hypertension, and some breathing problems, like asthma and sleep apnea. In conclusion, the GM Diet helps with quick weight loss. The main aspect, daily water consumption, promotes detoxification of the body and aids in the weight loss process. The fruits provide you with fiber, the vegetables with vitamins, and the lean meats with protein. This diet doesn't limit the amount you can consume but limits the types of foods you eat. The best breakfast on this diet includes quinoa and the fruit variations. The great thing about the GM Diet is that it gets you into a healthier eating habit of eating more fruits and vegetables. The cleansing of your system leads to a sense of well-being, and we can't find fault with that. Another name for the GM diet is the General Motors Diet. 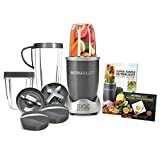 It claims to offer a dietary cleanse over a course of seven days with a promise of healthy weight loss anywhere from 10 to 17 pounds. As with any diet promising rapid weight loss, speak to your general physician with any concerns you may have before attempting the week long dietary changes. There are also several healthy smoothie recipes that can help you accomplish these dietary goals. The General Motors diet takes you on a seven-day dietary journey of isolating specific food groups on each day for specific detoxing, cleansing, energy boosting, metabolism changing and ultimate weight loss reasons. This diet promises to detoxify the body by eliminating the toxins within the fat cells in the body. This is made possible by quickly breaking down the fat and ridding it from the body. To achieve this, you must follow a strict regimen of eating only fruits, vegetables, milk and protein as well as drinking a lot of water on specific days. Day one of the General Motors diet may be the most difficult as you are only eating fruit. You may have as much fruit as you want, with the exception of bananas. You may have one of the fruit smoothies this day as well. It is highly recommended that you eat a lot of melons on this day such as watermelon and cantaloupe. You will also need to drink eight to 10 glasses of water. You can have caffeine, but drink it with no added calories such as sugar, honey, milk or cream. Black coffee and green tea are great options. Day two is the vegetable-only day of the General Motors diet. For breakfast, have a boiled or baked potato with a dab of butter to introduce complex carbohydrates that will provide energy. Other than that, spinach, broccoli and beets are excellent choices. Vegetable smoothies will offer a nice yummy meal option on this day. On day three, you can play with a variety of fruits and vegetable combinations for all three main meals and snacks. On this day, no bananas or potatoes are allowed. The green giant smoothie recipe is a perfect fit for one or two of your meals on day three. You should start to see a difference in your weight on this day. On day four of the GM Diet, you are allowed to eat up to eight bananas. The reason for this is to replace lost potassium depleted from your body in the first three days of the diet. Banana smoothie recipes will definitely offer good meal replacements on this day. You are also allowed up to three glasses of whole, soy or almond milk. 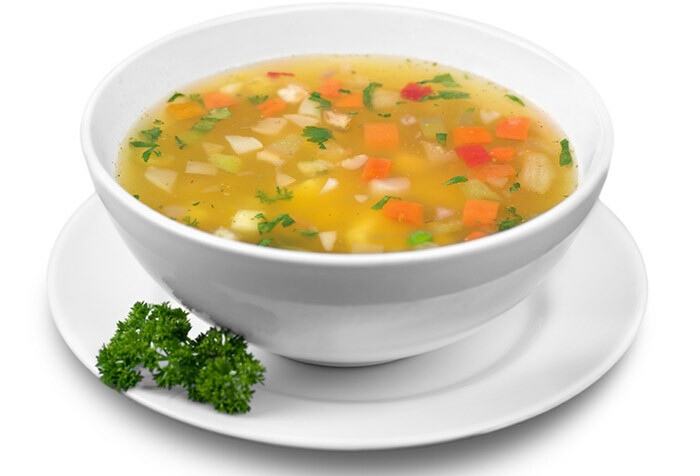 The other main food source on day four is vegetable soup, which you can have whenever you want. This day is all about the beef and the tomatoes. You should consume six whole tomatoes throughout the day and up to 10 ounces of beef. On this day, it still is very important to drink a lot of water to cleanse and detoxify. You can also create a tomato soup or tomato smoothie recipe to mix it up a bit. You are almost to the end of the week of your GM diet and you should notice a big change in your body. On this day, you will eat beef again, but you can have any and as many vegetables as you like. You don't want to overdo it and you may want to implement one of the vegetable smoothie recipes on day six for any of the snacks or to accompany a beef hamburger patty for a meal. Day Seven is your finish line and you should notice the weight loss of ten to seventeen pounds. On this day, you will be eating as many vegetables as you want, brown rice and fruit juices. There is no alcohol allowed on any of the seven days. Make sure to drink eight to ten glasses of water on this day as well. The GM Diet asks you to eat a heavy concentration of fruits and vegetables. There are many benefits to including a great variety of vegetables and fruits in your diet. You can accomplish much of this vegetable and fruit diet benefits by incorporating in some of the top smoothie recipes. Spinach - This is a terrific green to sneak in your smoothie, especially if it is the only way you can get little ones to eat their leafy greens. Spinach is one of the best sources of vitamins K, A, C, B2, B6, E, magnesium, iron, calcium, potassium and folate. Kale - Kale is low in calories and full of antioxidants. It is also a great source of protein and is high in Iron and vitamins K and A.
Lettuce - Romaine lettuce is a great leafy green option and blends smoothly in smoothie recipes. Romaine lettuce is full of Vitamins A and C and potassium and helps tremendously with losing weight. Mint - Mixing mint into your smoothie recipes is beneficial. It will help give you good breath and aid with indigestion. It is also full of vitamins A, C, B2, potassium iron and folate and provides nice fiber into the diet. Basil - Basil is a wonderful source of antioxidants and vitamin K.
Cilantro - If you like the taste of cilantro, it can be a nice addition to smoothie recipes. A tiny handful can provide extra potassium, iron and magnesium to your diet. Parsley - If you do not like the taste of cilantro, try parsley for a terrific source of folic acid and vitamin B.
Bananas - Bananas help to curb your sugar cravings. They also aid with indigestion, provide alertness and provide serotonin. Berries - (Strawberries, blueberries, blackberries, raspberries, cranberries) They are rich in antioxidants and low in sugar. These five recipes provide you with all vegetable, all fruit and fruit and vegetable smoothie recipes options for when you are on the GM Diet, or anytime you would like a healthy, refreshing smoothie. You can substitute coconut or soy milk for the almond milk if you have a nut allergy. If you are making this smoothie on a protein day of the GM diet, you can also add 1/2 Cup plain Greek Yogurt. 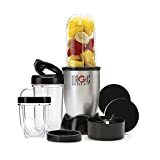 With all the various options of vegetables and fruits smoothie recipes combinations, you should be able to come up with some creative meal choices while taking on the GM Diet. You can follow the recipes that are provided here, but you can also get fancy on your own and create some really fun and tasty healthy smoothies. The main thing is to have fun in your healthy endeavors and enjoy the exciting new choices you make. Research has consistently shown that the best way to lose weight and keep it off is a total lifestyle change. So many quick weight loss diets are out there, but are they healthy and consistent? Can these gimmicky promises keep the weight off and still make food enjoyable? Losing weight is much more than counting calories and denying yourself your favorite snacks and treats; it's about paying attention to what you are putting into your body as fuel and how it can benefit you. The GM diet and these chicken breast recipes can get you off on the right foot to losing weight and changing your lifestyle. A great way to think of the GM Diet is a total lifestyle change. The GM diet can be repeated and doesn't require exercise for the first three days. The diet teaches you how to choose the proper foods in the right quantities and how to best prepare your meals. The GM diet is a one-week, intensive crash course in restructuring your eating habits. Chicken plays a big role in this diet due to its great health benefits. Read on to learn how to incorporate these GM chicken breast recipes and start losing those extra pounds! Legend has it that the GM Diet, or General Motors Diet, was created in 1987 at the General Motors Corporation as part of a health program for employees. It's said the plan was created in conjunction with the Food and Drug Administration (FDA) as well as USDA guidelines and field tested at John Hopkins Research Center. The GM diet was designed to shed 10-17 pounds in a single week. It relies heavily on unprocessed fruits and vegetables that are "negative-calorie foods," meaning it takes more caloric energy to burn off than they provide. The meals you eat are burning calories and boosting your energy levels. The diet itself is flexible and can adhere to any dietary or allergy restrictions. While shedding fat, the diet also helps your body flush out toxins and extra fluids that may cause bloating. By consuming the mandatory 8-12 glasses of water per day, many followers have found that they are suffering less from constipation, irritable bowel issues, and other gastric complaints. The GM Diet is a strict seven day plan. As with any diet plan, consult with your doctor and take into consideration any health issues. Pregnant and lactating women should never attempt a radical diet change. It is safe to repeat the diet, but it is recommended that you give yourself 8-10 "off days" after completing a week. During this time, you must continue your low-carb, high-protein habits with at least 10 minutes of daily exercise. Before your week starts, clear out all the junk food, sodas, and alcohol. The GM diet is about controlled consumption of foods that provide your body with fat burning calories. Before you begin the diet, increase your water consumption to a minimum of 6 glasses per day and avoid alcohol at least 3 to 4 days before the diet begins. There is a specific day-to-day guide to what you can eat each day of the diet. Print the meal guide off and take it to the grocery store with you to best prepare for the week ahead. After the week is finished, the diet suggests you continue consuming a high-protein, low-carb diet and maintain your daily exercise regime of at least 10 minutes of activity. Starting a new diet doesn't mean the recipes have to be dry or bland. Chicken breast recipes can be consumed on days 5 and 6 of the GM plan in place of beef. Purchase skinless chicken breasts to use in the recipes to cut any excess fat and cholesterol from the meal. Chicken breast recipes are naturally low in fat and have numerous health benefits. Chicken breast is a great source of protein and also provides selenium, phosphorus, vitamin B6, and niacin. Selenium is involved with the metabolic system, particularly the thyroid and metabolism. Metabolism is also boosted by vitamin B6 and serotonin. Phosphorus is an essential mineral for your teeth, bones, kidney, and liver. Low-fat protein contributes to muscle growth, repair, and development. Building muscle increases calorie burn, meaning even when you aren't exercising you are losing weight Chicken is also good for your heart and helps with maintaining healthy blood pressure thanks to niacin. Chicken breast recipes are a delicious way to get healthy and lose weight. These chicken breast recipes are versatile for either lunch or dinner on days 5 and 6 of the GM diet. Combine these chicken breast recipes with additional vegetables for more health benefits. Keep in mind you can substitute vegetables as necessary for allergies or dietary restrictions. Always remove the skin from the chicken or buy skinless to reduce fat and cholesterol. Arrange chicken and vegetables on skewers. Coat kebabs with olive oil and season with salt and pepper to taste. Place on grill or frying pan or bake in oven until internal temperature reaches 165 degrees Fahrenheit. Heat olive oil in a large pan over medium heat. When oil is hot, add onions, garlic, and carrots. Cook until soft and fragrant. Add chicken and cook for 3-4 minutes, or until chicken is cooked through. Add tomatoes, cooking for 1 minute. Add salt, pepper, and your preference of herbs and seasonings. Add water to cover ingredients and mix to combine. Cook until frothy, at least 30 minutes. Transfer to bowl. Skewer the cherry tomatoes or chop the one tomato and skewer on a kebab stick. Roast the tomatoes to give them a smoky flavor. Heat olive oil in a pan over medium heat and add cumin seeds when hot. Add roasted tomatoes and gently crush them, mixing with the oil and cumin seeds. Add garlic/ginger paste and mix well. Add chicken and cook until done, about 5 to 7 minutes. Add remaining ingredients and mix to combine. Let cook for 2-3 minutes more. Clean and wash chicken and cut into small pieces. Using a fork, make holes in chicken for marinade. Add salt, lemon juice, and chicken to bowl and set aside. Heat oil in pan and add ginger and onion. Cook until soft and fragrant. Add mushrooms, cooking until tender. Add chicken and cook until done. Add pepper, chili flakes, and oregano to taste. Serve hot. Wash and dry chicken and produce. Chop chicken into chunks. Chop broccoli into florets, carrots into julienne strips, ginger sliced or shredded, and onions into diagonal slices. Boil broccoli and corn until tender; blanch for two minutes and drain. Set aside. Heat olive oil in a large pan. Cook chicken for 7-8 minutes and transfer to plate. Set aside. In same pan, saute ginger, onion, and carrots for two minutes. Add blanched broccoli and baby corn; stir fry until vegetables are tender and fragrant. Add chicken and stir to combine. Add salt and pepper to taste; serve immediately. The GM diet is a great option for people serious about kickstarting their weight loss regimen. The diet is fairly flexible, allowing for reasonable substitutions due to allergies or dietary needs. Chicken is an excellent low-fat, high-protein option to add to the GM Diet on days 5 and 6 to boost muscle growth and repair and increase metabolism naturally. These chicken breast recipes are easy, delicious, and incredibly healthy! Protein is one of the most important nutrients we can add to our diet to recover from a workout. While this may be well known, it can be harder to determine how much protein your body needs. So we are going to go through what different amounts of protein can do for your body as well as how much to have in accordance to your own fitness goals. So if you are thinking, "how much protein should I eat to lose weight?" or "how much protein do I need to gain muscle?" then read on! How Much Protein Do I Need to Eat to Gain Muscle Mass? Many of us have heard about how important protein is for health and fitness regardless of whether your goal is to lose weight or gain muscle mass. We will go through the process of what protein does and how it interacts with the body. This process highlights the importance of protein and will help answer the question of "how much protein should I eat to lose weight?" as well its counterpart on gaining muscle mass. When you work out via cardio or weightlifting, your body burns through protein as your muscles work. As you stretch or push your muscles, proteins are used or destroyed. This means that when you finish your workout, you have less protein than you started with. In order to continue to gain strength, lose weigh, and build muscle, you need to replenish the proteins you lost so your muscles can rebuild (and rebuild stronger). Unlike burning carbs or fat (though you do need to replenish those to a degree too), protein is designed for muscle function and growth. It can be easy to fall into the reasoning of taking in less carbs, fat, or protein after a workout because if you gain as much as you lost, then you are back to square one, right? Not exactly. In terms of protein, if your body does not have enough, muscles cannot rebuild after being pulled apart during a workout (which is required for muscle growth). The amount of protein you take in after a workout can determine their growth and build rate. However, this does not mean if you just down a lot of protein after each workout, you will start seeing results. There is a needed balance, which we will go over in this article. You need protein, whether you are asking, "how much protein should I eat to lose weight?" or "how much protein do I need to gain muscle mass?" Your protein count may vary between those two questions, but either way and in either case, skipping protein or overdosing your protein intake can be detrimental to your health and fitness goals. One thing to note when looking into what protein to put in your diet is that quality always trumps quantity. There are different types of proteins that you can get from different foods. Animal proteins are the most well-rounded proteins and include the amino acids your body needs to function well and be healthy. If you are avoiding animal meat, then many vegetables have proteins as well. You will need to take in more as well as combine them with soybean products, lentils or bean products to get enough of the needed amino acids. Protein supplements are also an option, though few people beyond bodybuilders and athletes need them. If you are looking to slim down, you have probably looked into limiting carbs. Regardless of that, think of protein in a different way. While you may not need as much protein after a workout as someone who is wanting to bulk up, you do still need to replenish what your body has used up in order for your body to recover and achieve the goals you are going for. Eating protein when you are trying to lose weight will boost your metabolism, which means you will burn more calories not only at the gym but also during your day-to-day activities. Protein can also help curb your appetite because it can keep you full much longer than both carbs and fat. In addition, it can also keep you from gaining weight in the first place by that increase in metabolism combined with less appetite. It may sound confusing (math always does), but here is how it works: if there is a woman looking to build muscle while losing fat and she weighs 130 pounds, then she would multiply 130 by 1.2 to get around 156 grams of protein. This is how much protein she would need to consume every day in order to accomplish that goal. As a side note, a truly obese individual looking to work towards an ideal weight would use his or her ideal weight instead of their current weight to make these calculations. It should also be noted that this does not mean you need to add 156 grams of protein to what you are already eating. Try replacing some carbs or fat with protein instead to get the balance you need to achieve these goals. Protein is a diverse nutrient. Along with helping you lose weight and tone up, it is also a key factor to gaining muscle mass, bulking up and building strength. As we have mentioned, protein is necessary for your muscles to function. So if you are looking for your muscles to function better or to grow healthily, increasing your intake of protein is a sure way to do just that. Think of protein as the key ingredient to your muscles' health. If you do not feed your muscles or do not feed your muscles enough, they can stop growth or even move backwards in terms of progress. If you are looking more into what ratios of protein you need to gain muscle mass, the calculations are a little different. Simply put, if you want muscle mass you need to consume more protein than your muscles burn during a workout and day-to-day activities. Also, if you are looking to keep your muscle mass while losing fat, you will need to adjust your protein intake because protein can help keep you from losing that coveted muscle mass. We recommend taking in one gram of protein for every pound of body weight. There are no hard numbers in this case due to inconsistent findings through various studies. Some suggest that taking in more than 0.8 grams per pound does nothing for muscle mass, while others suggest that you need a little more than 1 gram of protein to grow muscle mass and strength. We found 1 gram per pound to be a good medium between two possibly correct answers. As is the case with the question of "how much protein should I eat to lose weight," this calculation changes slightly if you are carrying a lot of extra weight. Instead of using your actual weight, use your lean mass as that is what mainly determines how much protein you need on a daily basis. As is the case with many diet, fitness and health programs, results from these changes in diet may vary depending on how much you exercise, what else you are eating and where your overall health. However, eating the right amount of protein for what your goals are is important not only for reaching those goals but also for a healthy body composition---and functioning. So, while you may be asking, "how much protein should I eat to lose weight?" or be wondering what you need to adjust to gain muscle mass, know that protein is not only required for these goals. It is required for a healthy lifestyle and should never be skipped or omitted from a diet. How many calories does yoga burn? You'll find out in this post along with a host of other valuable info on this ancient modality. There’s a common misperception that yoga is all about luxurious but rather passive stretching. People think one needs a lot of patience and calm in order to just sit and breathe into a pose. Another common notion is that in order to do yoga, one needs to be super flexible. On the contrary! It’s the repeated doing of the poses over time that increases flexibility, and most postures do not require you to twist into a pretzel. Yoga can be a dynamic and demanding exercise regimen that really gets your heart rate up and burns calories. But how many calories does yoga burn? Read on and learn all about embarking on an effective and vigorous yoga regimen that will increase muscle mass, improve flexibility and help you lose weight, should that be your goal. Yoga is an ancient (mostly Hindu) discipline and spiritual and physical practice that originated in India about 5,000 years ago. Here in the West, when we say yoga, we refer to the physical exercises or postures. When people say they practice Hatha yoga, it means that they practice the physical aspect of yoga, doing exercises, as opposed to breathing or meditation. However, most styles we are familiar with today, with their focus on exercise and physical fitness, developed in the 20th century by teachers such as Krishnamacharya, K. Patthabi Jois, B.K.S. Iyengar and Bikram Choudhury. Hatha is a Sanskrit word that is composed of ha meaning sun and tha meaning moon. These are considered opposites and yoga helps you to harmonize the opposing forces in life. In fact, the Sanskrit word Yoga has its root in the term yuj which means “to yoke” or “to unite.” So yoga balances or harmonizes all opposites, male-female, dark-light, sun-moon, and more to create poise and balance in the body and mind. Yoga practice is like an adaptogen; it can be both calming and energizing, even at the same time—which many folks have experienced after they come out of a yoga class. They report feeling grounded and focused yet more vibrant and alive. So how many calories does yoga burn? It depends on the style. There are many schools of yoga or particular styles. Among the most common ones are Iyengar, Ashtanga, Flow Yoga, Hot Yoga and Bikram. There are types of non-physical yoga not commonly practiced here in the West, such as bhakti yoga (devotional yoga) or jnana yoga (self study). Also, there are many sub categories or sects, but there’s no need to go into such detail because you will not find these offshoots at your local yoga studio. When it comes to burning a maximum of calories, you will want to choose the most vigorous types of Hatha yoga with monikers and styles such as core yoga, power yoga, vinyasa, flow yoga, hot yoga, Bikram yoga, advanced, and Ashtanga. With flow yoga, you quickly move from posture to posture rather than holding the poses passively. This can really get your heart rate up quickly. The same is true with Ashtanga yoga, which begins with several series of vigorous, so-called sun salutations. Again, you will work up quite a sweat. Core yoga, power yoga and advanced classes will also be rather brisk and dynamic. A well-known but controversial teacher named Bikram Choudhury invented Bikram or “hot” yoga in the early 1970s, practiced in rooms heated to 95–108 degrees F. Classes taught by teachers in his lineage will be designated as Bikram while there are also non copyrighted derivatives of this style dubbed Hot Yoga. Both approaches make most practitioners sweat profusely and lose weight rather quickly. These two styles require very good physical shape to start with, as you are literally exercising in what feels like a sauna. But you can burn loads of calories. How many calories does yoga burn? Find out more below! Yoga has a multitude of proven benefits that range from psychological and emotional to physical issues. Generally, an hour of yoga can burn between 200 and 600 calories. Per a study by Harvard Health Publications, a person weighing 155 pounds will burn circa 300 calories in 60 minutes (or about 100 in 20 minutes), while a person weighing 125 pounds will burn a little less, about 240 calories an hour. Bikram or hot yoga will burn more calories than a “regular” and more moderate Hatha yoga class. Reported numbers range from 477 calories and up per 90 minutes, while flow yoga, vinyasa or Ashtanga can burn almost 600 calories per 1 to 1.5 hours. Note that Bikram and hot yoga follow a specific series of 26 postures and two breathing exercises that never change, while Ashtanga yoga also follows a highly standardized routine. Other variations allow the teacher to structure things more loosely and individually rather than having to adhere to a predetermined sequence. Many people enjoy the repetitive nature of these styles, however, since they know exactly what to expect and are guaranteed to work up a sweat and get a good exercise. What poses burn the most calories? Think about poses that involve the large muscle groups such as the thighs. Effective postures that will get up your heart rate and make your muscles burn are Warrior poses, such as Warrior 1, 2 and 3. These standing poses work all muscles of the body. Also consider doing so-called Sun Salutations, which incorporate Plank pose, which you can also do by itself or in combination with other postures. Chair pose is also a great pose for burning calories and strengthening the thighs while toning the whole body. This is a highly structured sequence of poses for burning calories. Here’s one classic variation called Sun Salutation A. Stand with feet hip distance apart or heels and toes touching. Arms are resting at your side. Inhale the arms out to the sides and up, palms touching. Gaze up. Exhale and bow forward into a forward fold, leading with the chest. The arms reach toward the ground or your shins. Inhale, lift the chest, and gaze up. Exhale and step into plank (pushup position). Inhale and exhale, lowering the body flat all the ay to the ground. Inhale into Cobra pose, lifting the chest with the strength of your belly and your arms, exhale into Downward-facing Dog (This pose looks like an upside down letter V). Hold this pose for five deep breaths. Inhale and exhale, stepping both feet forward into a forward fold. Inhale lift the chest, keeping the hands on the ground or on your shins, and exhale, then bow forward again. Inhale the arms out to the side like airplane wings and all the way up and overhead, exhale lower the arms to your side or bring the palms together at the heart in Namaste position. Repeat five times. Come into a traditional pushup position, arms elbow distance apart, legs hip distance apart. Make sure your low back and pelvis are not sagging but parallel to the floor. Draw the belly button back toward the spine, lift out of your wrists and shoulders and hold. Breathe deeply for one minute. Stand with feet hip distance apart. Step right foot forward into a lunge with the front leg bent 90 degrees, knee directly over ankle. Inhale arms straight up and hold for thirty seconds while breathing deeply. Repeat on the other side. Stand with feet hip distance apart. Step right foot forward into a lunge. Position feet so that you could draw a straight line from the arch of the front foot to the heel of the back foot. Angle back foot 45 degrees. Come into a lunge with the front leg bent 90 degrees, knee over ankle. Inhale arms straight out to the side, move head to the right gazing across the middle finger of your right hand, and hold for thirty seconds while breathing deeply. Repeat on the other side. Start standing with feet hip distance apart. Inhale and exhale as you lean forward, extending the right leg straight in the air behind you, foot pointing straight down, until the leg is parallel to the floor and the hips stay level. The arms can be held out to the side like airplane wings to balance more easily, or reach forward, palms touching, parallel to the ground. Hold for 30 seconds and breathe deeply. Repeat on the other side. Stand with feet hip distance apart or feet touching and parallel. Inhale the arms out to the side and up and exhale as you bend the legs and squat as though you were sitting at the edge of a chair. Breathe and hold. As you exhale, inch a little deeper into the squat. You can keep the arms straight up or bring the palms together overhead and touching while gazing up at your hands. Yoga does wonders for your health. It’s by no means a miracle cure, but unlike many other exercise modalities, it has a host of incredible health benefits. It’s a great alternative to lifting weights and other sports, and we highly recommend that you supplement your exercise regimen with some yoga poses. So rather than giving up running, tennis, karate or swimming, add yoga to your life to avail yourself of all of its advantages that will make your existing workouts more effective and improve your health and well-being. But you can certainly stay healthy, slim and vibrant doing yoga exclusively, especially now that we’ve answered the burning question, “how many calories does yoga burn?” In short: more than you think! More precisely, enough to keep you in perfect life-managing shape. Namaste! Many of us are raised with the idea that there are two categories of food: what tastes good and what's good for you nutritionally. However, if you know how to use the ingredients you buy, adding spices and seasonings, the healthiest food can become the most delicious as well. If you're looking for a way to lose weight without sacrificing the enjoyment of eating, we have three mouthwatering egg recipes that can change any health food cynic's mind. Many people in society today and looking for ways to lose weight quickly using techniques that range from dieting and exercise to medical procedures. Maybe you want to be ready for your beach holiday or fit a dress just in time for your friend's wedding. Attempting to lose weight in a short period of time is unhealthy if you haven't researched your weight loss methods well, but it can be very effective if you are well-informed and able to stick to your weight loss plan. As long as you can restrict your food in a healthy way and maintain your weight afterward, speed-based diets such as the GM diet are an excellent way to lose weight in a short amount of time. The GM diet, or the General Motors diet, is an eating plan that aims to help you lose up to 15 pounds in the span of one week. This involves following a detailed meal plan that varies by the day, allowing you to eat different foods or food groups throughout the week. Fans of this intense diet report that it helped them to burn fat and lose weight faster than other comparable diets. Along with helping you lose a large amount of weight in a short time period, the GM diet supposedly helps to cleanse your body of toxins, improve your capacity to burn fat, and aid with digestion. This diet is said to be successful because most of the foods eaten on the diet are low in calories. Eating low-calorie foods such as vegetables and fruits can be an effective weight-loss method because this can result in a calorie deficit, when you burn more calories than you consume. Many of them are also high in water, which helps with detoxification and causes you to feel full with fewer calories. Proponents of the diet advise repeating the cycle multiple times to maintain your weight and reach long-term goals, leaving a gap of 5-7 days in between each dieting week. The most important requirement of the GM diet is that you follow the designated plan for each day. The diet lasts for seven days, each day based on a different food group. These dietary restrictions are supported by science and results, which is why you must stay committed to them no matter how ridiculous they sound. On the first day of the GM plan, you are instructed to eat only fruit and drink eight to twelve glasses of water. You are not permitted to eat bananas, and dieters are advised to eat watermelon and cantaloupe if these are available. You can eat as many fruits as you would like as long as you stay away from bananas, and it is recommended to focus on fruits that are high in fiber such as papaya, apples and oranges. The point of this diet is not to feel deprived, so if you feel hungry at any point of the day, you should end your hunger and eat fruit. The foods permitted on the second day of the GM diet are one large boiled potato, any vegetables prepared without oil, and eight to twelve glasses of water. Some recommended vegetables are tomatoes, cucumbers, lettuce, cabbage, carrots, and beans. It is up to you to choose how your vegetables are prepared, but absolutely no oil is allowed, so you cannot deep fry or saute anything. Herbs and spices are good options for seasonings if you need to add some flavor to your meal. On day 3, you are instructed to eat fruits and vegetables only, along with the customary eight to twelve glasses of water. The foods to avoid are bananas and potatoes. By this day, you may be feeling very tired of fruits and vegetables, so it is a good idea to diversify as much as possible by eating a wide variety of produce and using multiple recipes. The addition of fruit to your diet will help with providing you nutrients, protein, and fiber, which will aid your body with detoxification and digestion. The fourth day's diet includes eight to ten bananas, four glasses of milk, and eight to twelve glasses of water. The fruit you've been restricted from for the last three days is now the only one you're allowed to eat, which can be confusing for your body, but is also a nice change. The milk that you consume can be easily spread out if you drink milk at typical mealtimes, so at breakfast, lunch and dinner. This day may be slightly easier than the first few days because banana will typically be more filling than vegetables, but don't let down your guard against temptations. Day five's diet is very different from the rest of the days of the GM diet, as it includes six tomatoes, one cup of brown rice, a lean protein source and twelve to fifteen glasses of water. Non-vegetarians can choose fish or chicken for their protein source and vegetarians can opt for an egg, as long as the protein source consumed is only one serving. This is a day of luxury compared to the beginning of your week, so enjoy your protein and don't forget to eat the tomatoes. It is highly advisable to increase the amount of water you drink to balance out the large amount of uric acid that your body will be producing. As for day six, you are recommended to eat one cup of brown rice, raw or cooked vegetables without oil, a protein source, and eight to twelve glasses of water. Avoid potatoes when eating vegetables, and boil them rather than frying to minimize calorie intake. This day is another filling and gratifying day compared to the majority of your week, which should make it easier to stick to, and by this day you should be inspired by the notable weight loss occurring. Vegetarians can eat eggs as their protein source, and non-vegetarians are permitted to eat up to 500g of skinless chicken. The seventh day's diet consists of brown rice, vegetables, and fruit juice. You can have unlimited amounts of vegetables, and it is advisable to eat a variety of different ones to maximize your intake of nutrients. Sugarless fruit juice is recommended after each meal to add to the nutritional benefits of the vegetables you consume. This is your last day, so stay motivated and be proud of yourself for completing the diet! If you are a vegetarian on the GM diet, you may be unsure how to proceed on days five and six when other dieters can treat themselves to beef or chicken. However, egg recipes are a perfect low-calorie alternative to meat, and they can be equally delicious. Eggs are a go-to protein source for many vegetarians, especially since they can be as filling as meat. There are many different egg recipes that will help you get through your week of diet restriction without sacrificing flavor. Hard boiled eggs are exceedingly easy to make and perfect for an on-the-go snack. If you are tired of thinking of creative new ways to eat fruits and vegetables during the GM diet, you will be relieved to simply put a pot of water on the stove and place an egg in it. This is one of the egg recipes that is also perfect for salads, which you will probably be consuming plenty of during this week. Simply slice the egg into thin circles and enjoy! This is a great way to combine protein and vegetables, a necessary skill for healthy eating and getting through the GM diet. Cut up some vegetables, put them into a bowl of already-beaten egg, and pour it into the pan. If you want to spice it up a bit, add some herbs like oregano and pepper to keep the meal interesting. An omelet is a good egg recipe for breakfast, lunch, and dinner, and it will help you to maintain your goals on the days that allow you to eat a protein source. This is a classic American breakfast option, and it is delicious for those who enjoy a soft yolk. This is one of the few egg recipes even easier than making a hard-boiled egg, since all you need to do is crack your egg over the pan and keep an eye on it as it cooks to perfection. Make sure to use a minimal amount of oil to keep calorie intake as low as possible. Enjoy your sunny-side up eggs with a chopped green salad or fruit smoothie to have the perfectly balanced meal. The GM diet has helped many people who have histories of weight fluctuation to maintain their weight and feel healthy and energized at the same time. Although you may feel weak while your body is becoming accustomed to the diet, by the end you should look and feel slimmer and lighter. Using egg recipes on the days that involve protein is a great option for vegetarians, especially since they are delicious and filling when cooked well. If you're tired of searching for the magical diet that helps you to lose weight fast, try the GM diet and discover how simple weight loss really is.